“What we have seen and heard we proclaim to you also.” 1 John 1:4 This is our journey as to why we give to support and equip nationals mostly rather than sending Americans. In the past 45 years in travel to many overseas countries for consulting, missions and adventure and our study of where God is working in foreign missions, we learned many things that we now apply to our mission giving. The books of Bob Findley also influenced us. We found that the world had changed in missions. Because of many missionaries having brought the gospel to the unreached world in the last 200 years, there are now many national Christian in countries such as India. In India, the estimate of Christians today is 2 to 4% or 24 to 48 million. In a visit to India 20 years ago, we found many strong Christian leaders that want to evangelize and disciple their people. As Dr. Bill Bright of Cru once stated, “Most of our leaders worldwide are nationals, people born and reared in the country in which they now minister”. The Seed Company, a Wycliffe associate organization, has American linguists working with nationals to translate the Bible at up to 85% less cost and in 60% less time than the original model by partnering with nationals even though American linguist are still needed. American leadership is needed by Seed at this time. Figure 1. The high dollar costs are usually associated with sending Americans. Figure 1 shows what we have seen. 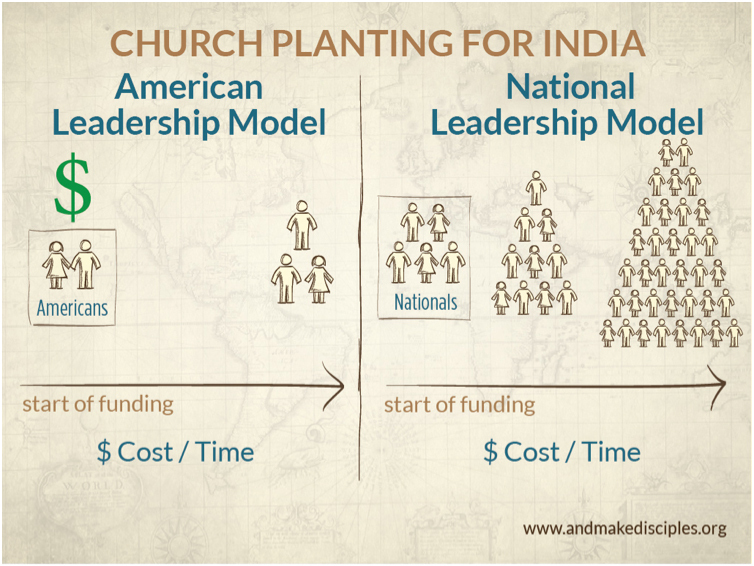 The cost is much higher and the gospel spread much slower in most cases with much American leadership in church planting. 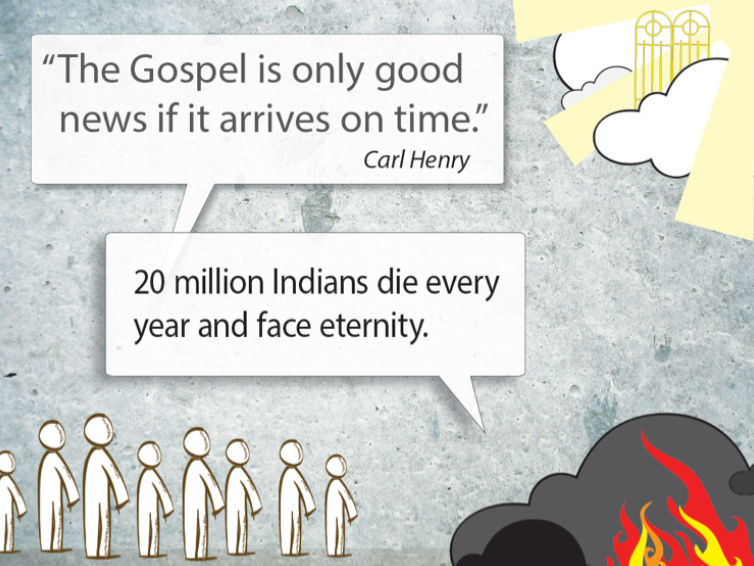 In the meantime, many are going to eternity without the gospel as Figure 2 shows, below. Figure 2. The method is important because of available dollars and the time to get the gospel to unreached people. Cost and effectiveness are important considerations. We believe we are stewards of what God has given us. This is where we see is a place for an experienced American going to India twice a year for six weeks to work with nationals to inspect what we expect or accountability. The problems are not always pleasant but we accept some dependency and waste for a low-cost national worker rather than a high priced American overseas. We do not pay for church buildings nor support national workers endlessly. However, the raising of indigenous support in totally unreached areas is not possible until people have been evangelized and at least a few churches are planted where people can grow in their faith. Prepared for Issachar Initiative Summit, Kansas City, November 13, 2012 and presented at Finishing The Task 2013. For nine national church planters’ support, training, and coordination and training for an additional 20 national church planters.